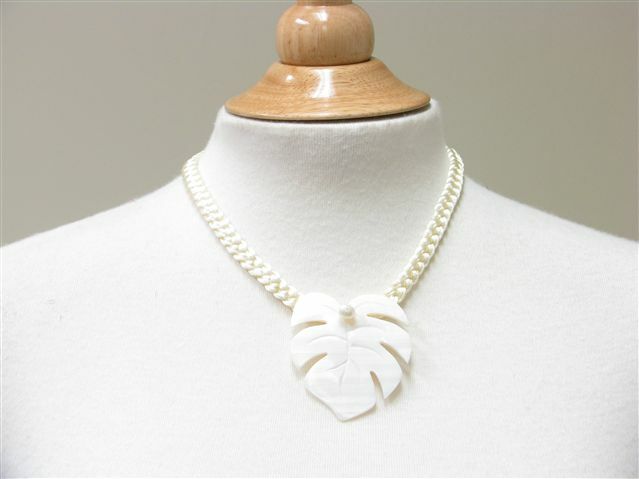 This is a Monstera Necklace with Fresh water Pearl. Up to 1st Button: 14 in. Up to 2nd Button: 15 in. Large and showy tropical leaf. Love it! i like the product the pendant matches with the dress background. It was presented well.